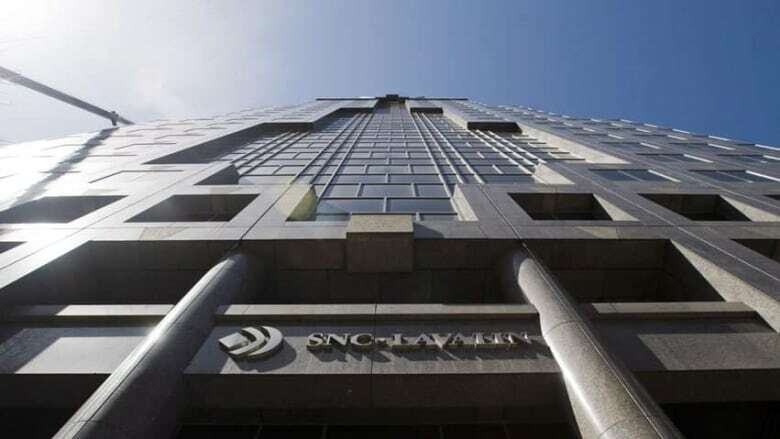 Canadian engineering giant SNC-Lavalin is facing a new scandal and a $1.24-million wrongful dismissal lawsuit alleging attempted coverups by executives involving millions of dollars in controversial payments to an agent it employed for a dam project in Angola. Ex-employee Joseph Salim is suing Montreal-based SNC Lavalin for wrongful dismissal. This latest controversy over the payment of commissions to hired ‘agents’ in foreign countries involves SNC-Lavalin’s hydro power division and follows the surprising and seemingly benign resignation of executive vice-president Patrick Lamarre on Jan. 18, and the dismissal of three employees — John Brown, Jean-Pierre Mourez and their boss Joseph Salim, who filed the lawsuit earlier this week in Montreal. Last spring, Swiss police and the RCMP raided the company’s Montreal headquarters in a probe alleging $160 million in improper payments tied to projects in Libya. The company has characterized its troubles as being the result of a rogue employee, former executive vice-president of the construction division Riadh Ben Aïssa, who is in jail in Switzerland awaiting trial on charges of money laundering, and corruption of public officials tied to SNC-Lavalin business in North Africa. But the wrongful dismissal suit directs attention at a different division, and alleges executives at the highest level of SNC-Lavalin directly instructed and attempted to subvert internal company controls to cover up a 10 per cent commission to be paid to an agency in Angola. Salim, the company’s former general manager of power, is seeking $1.24 million in damages, claiming he was dismissed ‘without just cause and in an abusive manner." He also says SNC leaked negative misinformation to the press, even though he had an impeccable 28-year history with the firm. His lawsuit contends he followed the instructions of his immediate supervisor, Patrick Lamarre, who was thanked by SNC president and CEO Robert Card "for his past service and contributions to the company" in a news release that accompanied the announcement of his resignation on Jan. 18. Salim claims in his 10-page declaration that SNC’s Matala hydro dam work in Angola began in 2005, six years before he joined the power division that oversaw the project. Four times during that period there were BIACs —bid and investment approval committees — where at various times the company’s then CEO Jacques Lamarre, CFO Gilles Laramee, and other executive vice-presidents signed off on a 10 per cent agent fee for Toptrade, an Angolan-based agency, which was working to secure the contract, says the lawsuit. Agents are often required with foreign projects to navigate approval and logistical issues, and would have been needed in places like Angola where SNC-Lavalin had no history of working, sources have told CBC News. In November 2010, Patrick Lamarre "suddenly and without any explanation" instructed his underlings to break the contract for the Angolan project because the agent’s fee exceeded the five per cent restriction in place at the company, Salim alleges in his lawsuit. That triggered outrage from the Angolan government, which feared a delay in refurbishing the dam could cost human lives. SNC asked Toptrade to forego half of its fee for the last five years of work, but it refused. So employees at SNC-Lavalin were told, with the consent of at least Patrick Lamarre, to find a way to get the agency its money, while declaring only five per cent on the books as agency fees, Salim alleges. On Oct. 10, 2012, Salim says a more sophisticated deal was put in place in Paris where "the parties agreed that (SNC-Lavalin) would pay Toptrade its full fee of 10 per cent which would be dealt with by a change order to the Matala project contract, artificially increasing the price by $200 million." The man orchestrating that change was SNC-Lavalin International Inc. chairman Michael Novak, lawsuit documents state. Regardless of senior management involvement, the three employees who executed the originally approved plan to get the agent money, and later told an internal review about the special arrangements, were fired, Salim says. In documents filed with the lawsuit, Salim says he assumes that the reason for his dismissal was that "he dared to be the ‘whistleblower,’ alerting to (SNC-Lavalin) the abnormality of the scheme which was apparently devised by defendant’s senior management to hide the true commercial fee for the Matala project, and obliging the defendant to devise alternate solutions." A spokesperson for SNC-Lavalin responded to the allegations in the lawsuit, saying that Salim was "terminated for cause." "The decision was based on information brought to the company's attention through its own rigorous internal process," Leslie Quinton, senior vice-president of global corporate communications, said in a written statement. "We do not believe Mr. Salim's claims have any merit and we will defend ourselves vigorously." None of the allegations contained in the lawsuit have been proven in court. Patrick Lamarre has responded to this story since its publication, saying in a statement to CBC News on March 21 that any characterization of his departure from SNC-Lavalin, other than his own, is inaccurate. "My resignation is due to personal reasons," Lamarre wrote.